The work of the committee quickly bore fruit. 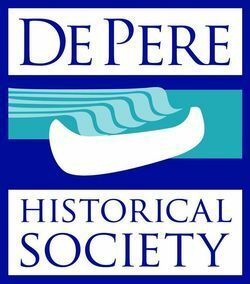 On March 11, 1970 the De Pere Historical Society was launched at a charter dinner held at the Swan Club. Robert G. Etter, President of Nicolet Paper, presented Roger Rebman, first President of the De Pere Historical Society, with a check for $5,000 to be used as seed money to assist him and his officers and directors in making the organization an immediate and on-going activity for the community. The first order of business was to provide governance. In addition to Roger Rebman, other charter officers of the board were Fr. Anselm Keefe, O. Praem, Vice-President; John P. Lee, Secretary; Wayne H. Treutelaar, Treasurer; and Max Franc, Curator-Historian. The remaining charter board members included: Martha Baeten, Paul J. Creviere, John C. Growt, Dr. O.S. Keiser, Martin J. Krach, Charles A. Lawton, Robert F. Mc Monagle, James L. Quinn, and Herbert Wenberg. Under their leadership the De Pere Historical Society established its footing and grew into a thriving organization.